For 15 years, Think Before You Pink® has been pushing back on corporate pinkwashers and calling out pink ribbon culture and marketing. This year, we went after the corporation that started it all – global cosmetics giant, The Estée Lauder Companies. And on the 25th anniversary of the pink ribbon, together we put a knot in theirs. Thank you for taking action to tell this pinkwasher enough is enough! Our powerful voices, actions, and stories said loud and clear that Estée Lauder’s pink ribbon campaign is “Knot Our Pink Ribbon.” In total, more than 1,100 people sent letters to the CEO and the Executive Chairman of Estée Lauder demanding they stop the betrayal and be honest about the harmful impact of their pink ribbon campaign. Your actions reached more than 20,000 people on social media and Estée Lauder’s Breast Cancer Campaign page was flooded with comments demanding they stop the betrayal. We went beyond pinkwashing this year and shifted the conversation to the broader harms of pink ribbon marketing and culture. Together, we’re changing the way people think about breast cancer – and the media are paying attention. Outlets like The Daily Beast reported on our campaign, and we had an op-ed published on Common Dreams that was shared on a number of sites, including Salon. Crooked Conversations, a new podcast from the people behind Pod Save America, interviewed us about our “Knot Our Pink Ribbon” campaign for one of three inaugural episodes. People are loving these articles, and you can check them out too by clicking the links above. This is what culture change looks like and there’s proof it’s working. One such example is that Estée Lauder removed the word awareness from their campaign name this year. But our work isn’t done. Our “Knot Our Pink Ribbon” campaign is a small part of our work to protect all women from chemicals linked to increased breast cancer risk and challenge the underlying systems of oppression. This work takes time. But thanks to outspoken activists like you, we’re making a difference. Last month, you were critical in putting pressure on the original pinkwasher and standing up against pink ribbon marketing and culture that’s harmful to women. 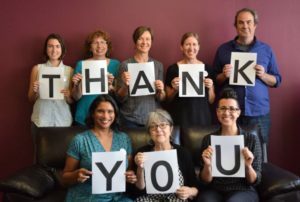 We are truly a grassroots organization and your support makes our work possible. 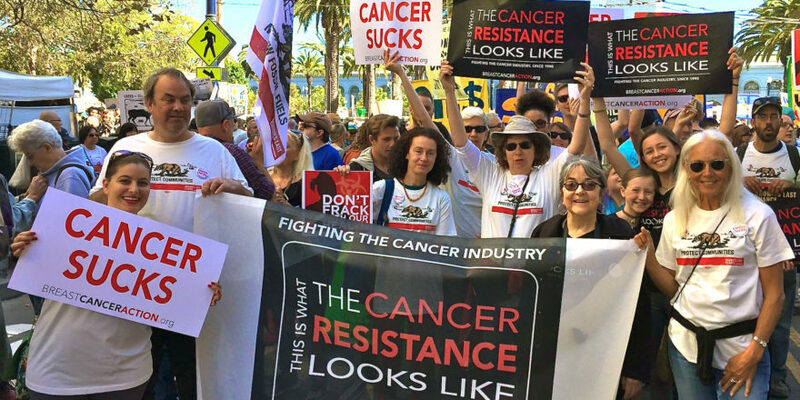 Help us spread the word and strengthen our base by asking your family and friends to sign up for our action alerts and donate so we have the resources we need to continue this critically important work.